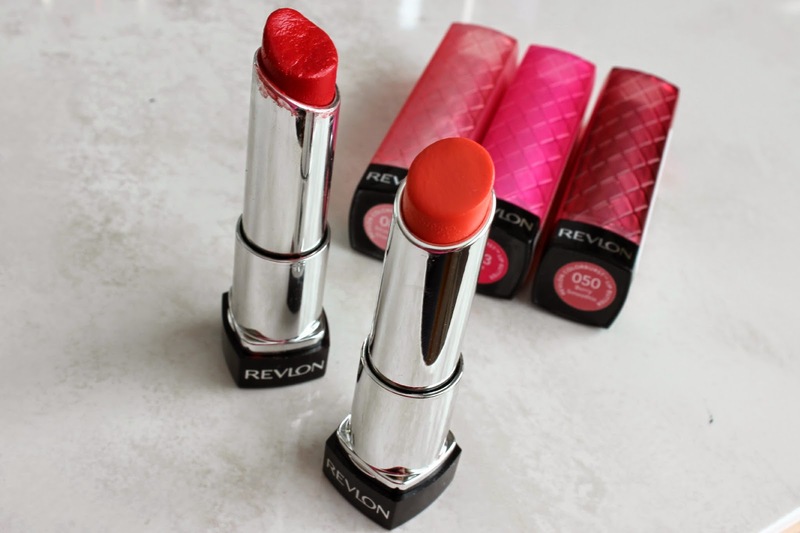 Home / brand review / featured brand / lip butters / lippies / revlon / "You can't keep changing men, so you settle for changing your lipstick." "You can't keep changing men, so you settle for changing your lipstick." I'm a huge fan of lippies that are not too intense. Sure, I have some vibrant, opaque reds and pinks, but 9 times out of 10, I'd rather chuck on something I don't need to think about during the day. 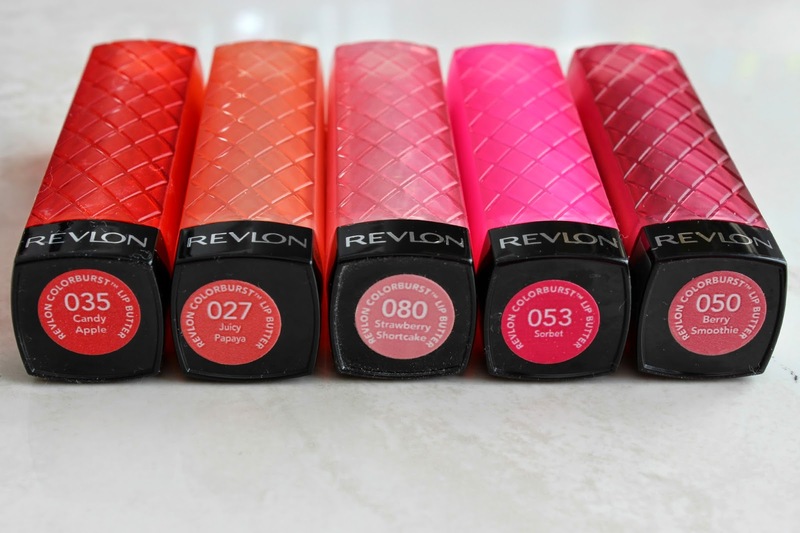 So naturally, when I came across the Revlon Colourburst lip butters, I feel in love (and stocked up). Some of the colours I'm obsessed with, and others, not so much. Scroll down to find my hits and misses. Misses: I really want to like orangey lip colours. I see so many blondes pull it off, but when I try it? Ugh. I've yet to find a shade that really goes with my fair complexion. Juicy Papaya didn't quite cut it for me. It's a nice colour, but there is just something about it that doesn't wow me. This one has found its way into my moms makeup bag. The other colour that I'm not in love with is Strawberry Shortcake. It's funny though, because I've used more than half of it, and use to swear by it. But it's a bit too bubble-gummy for my current tastes. Hits: I lived in Candy Apple in the fall. It's a super easy to wear red, and you don't need to worry about it smudging everywhere. It's also packed with colour, so you can apply it quite sheer, or very full on. Sorbet and Berry Smoothie are my current favourites. Sorbet is a bright fushia colour that really brightens up my complexion, adding a lot of life and colour. Berry Smoothie was a colour I was really hesitant about. I had seen a lot of people with darker complexions look amazing in it, but what sealed the deal was when Lisa Eldridge (a.k.a. my idol) used it on a very pale blonde model. I went out the next day, bought it, and haven't looked back. It's an amazing berry colour, but still looks really neutral. 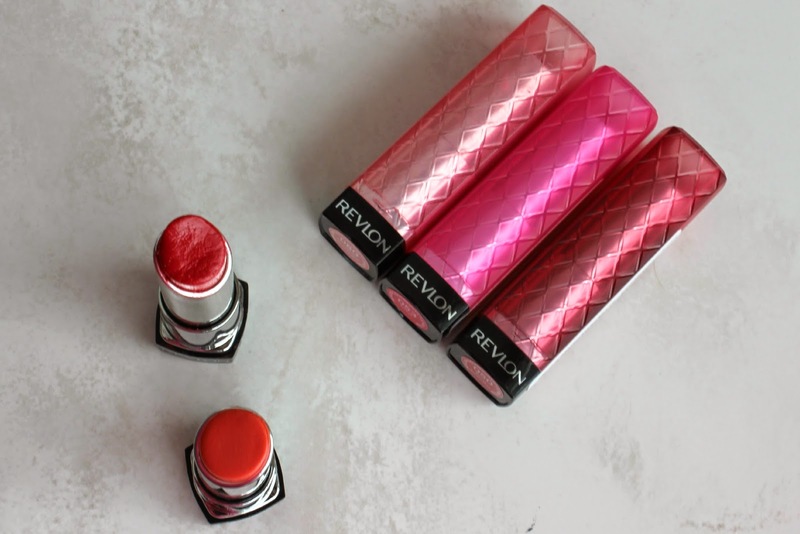 Overall, the Revlon Lip Butters are, as indicative of their name, very buttery, super soft, and leave your lips feeling amazingly moist. The colours vary in pigmentation, so I'd suggest swatching them in store first. But I highly recommend these are very day staples. What's your favourite lip butter shade?